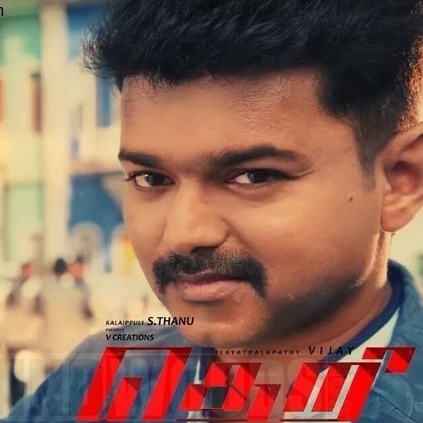 Theri, the much awaited film of Ilayathalapathy Vijay is leaping to the finish line in style. The film, directed by Atlee and produced by Kalaipuli Thanu has been certified by the Censor authorities with a clean U which directly implies that the film is for all sections of the audience. When behindwoods contacted producer Thanu, with his singature laugh he said, "I am feeling happy". When asked what was Vijay's and Atlee's reaction for this news, he said that he had shared the same with them and that both of them were also quite happy about it. Theri has GV Prakash’s music, George C William’s camera and Ruben’s cuts. It features Ilayathalapathy in a cop avatar with glam dolls Samantha and Amy Jackson for company. Director Mahendran plays the baddie and baby Nainika plays Vijay’s daughter in the film. Theri is expected to hit the screens soon for the Tamil New Years Day.